To create a much needed home-atmosphere in health-, care-, and social organisations & environments, where people can feel at ease and sit in comfort. With a focus on flexibility in setup, look & feel, and applications combined with Exsta's core DNA: 'Beautiful meets strong' the design shows clear horizontal and vertical lines that bring visual rest and order, combined with generous volumes for comfort and atmosphere. 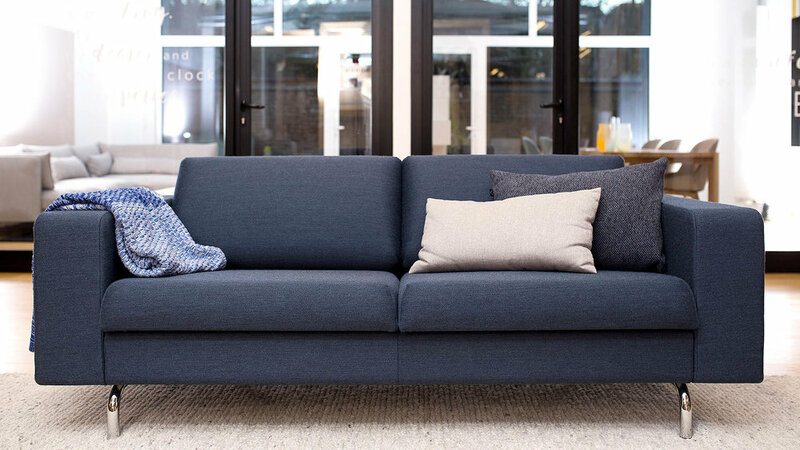 Made with care in the Netherlands, by the skilled craftsmen of Exsta, the sofa is available in a range of modules, finishes and upholstery materials. Check out their website and meet up with the great people at Exsta! Aligned in the same vision, to create a home-atmosphere in health-, care-, and social organisations & environments. This chair design commissioned by Exsta, features optimal ergonomics, is extremely comfortable yet light in presence and is firmly grounded by it's feet. The soft shapes of the seat, backrest and armrests are opened invitingly. The tubing of the armrest and backrest accentuate the support this chair give you. The armrests, main frame, seating and backrest can each be customised to create any atmosphere or adhere to any taste. Check out their website for more examples. The armchair is also available for consumers with a special selection of upholstery and frame finishes under the name 'Psycho-chair' at DesignIsWolf, a designlabel that offers pure, elegant Northern-European furniture, combined with Southern-European luxurious fabrics.